We burst onto the lighting scene in 2011 and have been making our mark on interior design ever since. We were a brand founded as part of LSE Retail Group with the view to offer cutting edge lighting and high quality reproductions of classic Iconic designs. 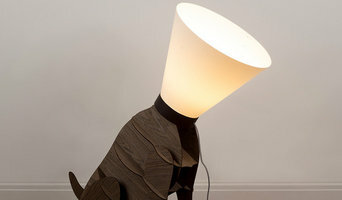 We are for the designer savvy consumer looking for stylish lighting for their home. With a range of products produced to the highest quality at affordable prices, we aim to bring affordable designer lighting to the masses. Iconic Lights isn’t just a brand, it’s a concept and a way of life. Agapanthus Interiors is an interior design and antique restoration business based in Greater Manchester. We specialise in antique chandeliers, furniture and home-wares and carefully source decorative items from around the UK and Europe. Our philosophy is to source unique, eclectic and original pieces and sell them just as they are, or renovate them with some creative reinvention. We are also stockists of Annie Sloan Chalk Paint™ and offer a full range of paints, waxes and lacquers to enable you to restore your own pieces. 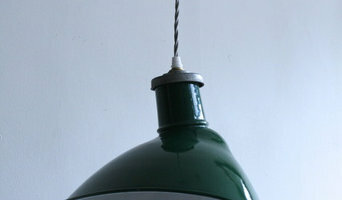 The Light Yard is a specialist supplier of bespoke and inspiring British handmade lighting. We are passionate about what we do and we strive to be than just another lighting supplier. We aim to solve problems and find solutions...together. Asco Lights boasts over a decade of lighting industry heritage. we consider ourselves to be lighting innovators, designers and connoisseurs, and we offer both our expertise and lighting products to local and national clients who themselves may be professionals or end users. We work alongside architects, interior designers and electrical engineers as lighting experts on private and commercial projects. Our talented lighting designers and project managers offer advise on all aspects of indoor and outdoor lighting, compliance with building regulations and Part L, and the latest in sustainability and energy saving lighting systems. We supply the finest luminary fittings as well as offer an international sourcing of bespoke design services if precisely the right fitting is not readily available. 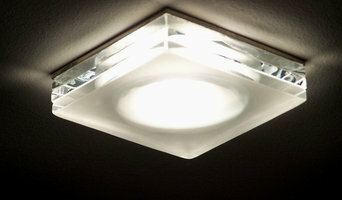 The Bulb Co is a professional UK, Manchester based internet lighting supply company. We have an extensive range of lighting products, specialising in LED lighting systems. We design, supply and provide advise to the trade and our services are now available to the public. Our sales team of dedicated professionals are committed to providing excellence to all of our clients by delivering cost effective low energy lighting solutions. The Bulb Co understands the significance of carbon emissions on climate change. It is our priority to help companies we work with to improve and maximise system performance whilst reducing their environmental impact and long term carbon footprint. We aim to achieve this through considerate design practices and following best practice guidelines from independent organisations such as the Carbon Trust as well as the use of low energy products such as LED and low energy fittings where possible. Ultra LEDs provides bespoke LED lighting services to the commercial and retail market. We believe in providing inspirational and high quality LED lighting at excellent value. Established in 1999 we pride ourselves on delivering innovative quality products with great personal service. We supply Electrical, Lighting, Heating and Cooling products to retail or trade customers throughout the UK and Europe. Hi, I am Elaine the owner of Shadowbright. My granddad used to make hand turned wooden lamp bases and I am lucky enough to have a house full of beautiful lamp bases. I spent years searching for the right shades for them. I wanted something a bit different, I couldn't find anything so I learnt how to make lampshades. I have a passion for traditional lampshade making techniques and I make contemporary drum shades and traditional shaped hand stitched shades. If you are looking for shades then please get in touch. With almost 20 years of experience, Audio North West Ltd specialise in designing, supplying and installing commercial sound systems, intelligent lighting, Video walls and distribution and Education services. Our products include Public Address (PA) and Tannoy Systems, factory music systems and LED lighting. Our professional on-site engineers are highly skilled and ensure that all deadlines and build programs are achieved by communicating with other trades and disciplines where necessary. Apart from actually designing and creating lights, a lighting designer, or lighting specialist, will also know where in your home to install lights in order to create the visibility levels you need and the mood you desire for a space. All lighting specialists in Timperley, Greater Manchester should be knowledgeable about energy efficient lighting and the technical installation of various lighting systems, so you can ask them for advice when it comes to updating your lighting systems. As well as lighting designers, Timperley, Greater Manchester lighting manufacturers may also be able to create bespoke lighting systems that will be designed to fit perfectly with your home, or perhaps if you just want a few key lighting pieces then you can find the Timperley lighting manufacturers that sell the style you’re looking for. Floor lamps and side lamps are great ways of adding subtle lighting when you don’t want harsh overhead lights, or light sconces on the side of the walls are ideal for traditional, more formal settings, or perhaps you could opt for more unusual sconces that can work as an illuminated wall feature? Manufacturers should be lighting specialists too, so they should be able to advise on which lighting piece would work best where in your house. In the kitchen, pendant lighting is a popular choice to hang over the breakfast bar or dining table and undercabinet lighting is a convenient way of adding more light when preparing meals. Lighting designers and lighting manufacturers in Timperley, Greater Manchester will be able to professionally install these lighting elements for you, so you won’t need to worry about wiring or positioning bulbs in the right place. 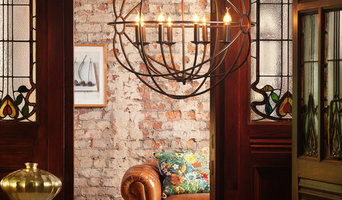 Find a lighting designer or manufacturer on Houzz. Narrow your search in the Professionals section of the website to Timperley, Greater Manchester lighting designers and lighting manufacturers. You can also look through Timperley, Greater Manchester photos by style to find a design you like, then contact the lighting specialists or designer that worked on it.